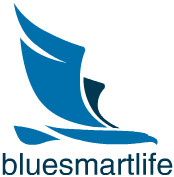 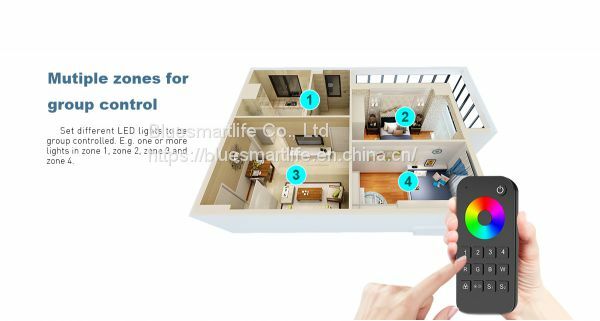 The RF system is a perfect wireless home automation system which enables to control multi zones by one remote with endless receivers in each zone and achieve perfect synchronization. 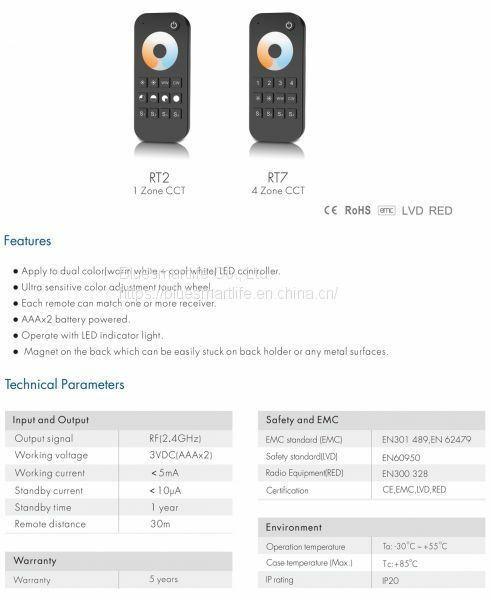 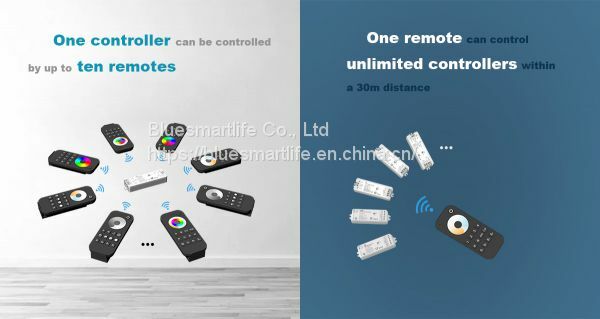 Each receiver can be controlled by 10 remotes. 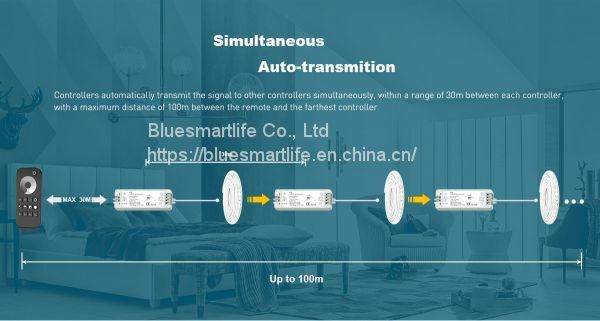 The control range is up to 30m. 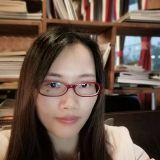 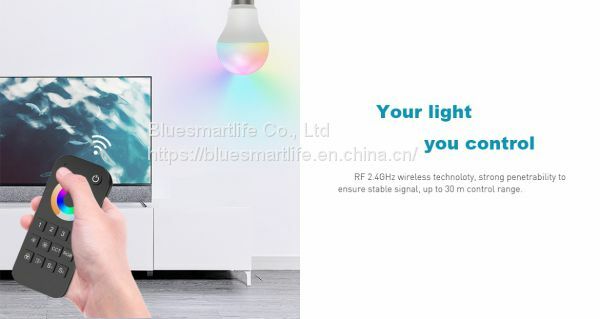 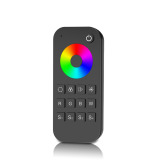 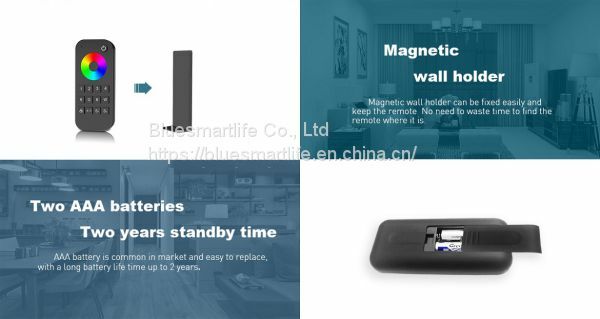 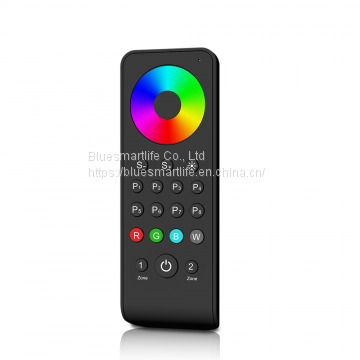 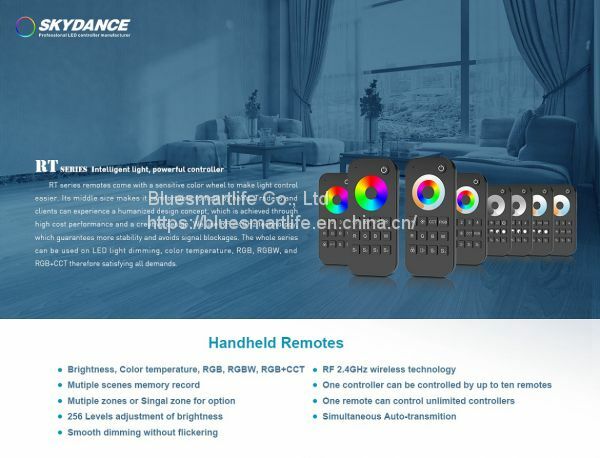 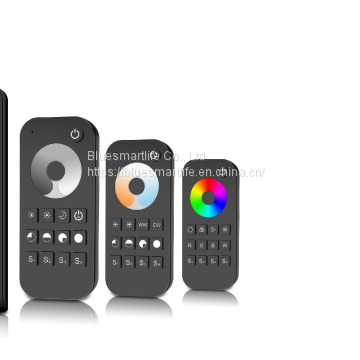 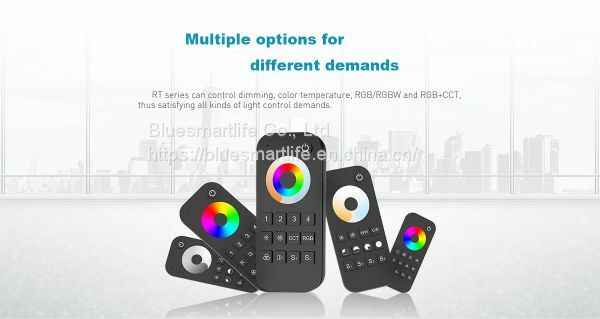 The receivers can be WiFi controlled via APP installed on IOS or Android device while working with a WiFi-Relay controller, achieve loop play, scene memory and timing run function, customize own RGB change mode list by APP for advanced function.